Biopôle SA will be present at the 10th edition of the Healthtech Summit ! Meet us there ! 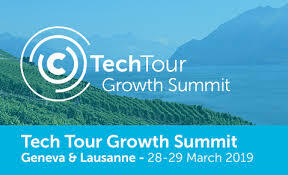 For its 10th edition, the Healthtech Summit will return to Lausanne on 24 – 26 June 2019 and once again will focus on showcasing the top 20 medtech and top 20 digital health companies in Europe. The 40 presenting companies, represented by their CEOs, will be carefully selected by our Selection Committees and will have the opportunity to network with key international investors who will assist them with their global expansion plans. Furthermore, the program will see a balanced and varied succession of corporate presentations, interactive plenary sessions on opportunities related to accelerating investment as well as dedicated networking sessions, Networking Dinner and Lunch. The 2019 edition of the Healthtech Summit will focus on Medtech & Diagnostics and Digital Health.